Lasers have been a part of our lives for many years, although many of us do not understand the difference between diode lasers and any other type of lasers that may be available. To be certain, we probably use lasers on a daily basis, and there are times when we may need them in an emergency situation. Even though that is the case, many of us still look at lasers as being something that is out of a science fiction movie or perhaps has the capability of destroying the world. That being the case, here are some everyday laser applications that will help you to understand more about what lasers bring to the table and how they can change your life. As far as the day to day use of lasers, this is very easy to see when you think about all of the different areas that they touch in our homes. The next time you watch a movie on your DVD player or listen to a CD, think about the uses of lasers in that type of technology. First of all, the DVD or CD that you are using was created using a laser, and it put the data onto the disk that you are now playing. In addition, lasers are necessary to watch or listen to the disk, depending upon its application. These are safe laser uses, and they are ones that we probably don’t think about, even though we may use them daily. The entertainment industry is also going to use lasers in a variety of ways. For example, the next time you’re at a concert or watch a fireworks display, it is likely that you are going to see lasers and actions. 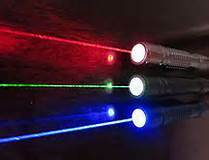 These are also safe lasers, although some of them may be harmful if they are used improperly. It wasn’t all that long ago that the use of lasers in such a venue would be headline news. Today, however, it is commonplace and most people don’t give it a second thought. The medical industry also uses lasers on a regular basis. Laser eye surgery is a good example of this type of technology that can help us to see better. Lasers are also used in a variety of other medical operations, including those that will help to remove tattoos, wrinkles, and even body hair. Using these lasers requires a special kind of skill, as misuse of the laser could cause harm to the individual that was receiving the treatment. One other way that lasers are used is in industry. There are lasers that can measure items to a far more accurate extent than if we were to use an old-fashioned methods. In addition, there are laser cutting machines that are extremely accurate. These can be used in a variety of industries, not only to provide the accuracy that is necessary but also to help speed up the task in many cases. It is just one more way that these items are used in our everyday lives to our benefit. There are so many laser applications in use today, it could take the author years to write about them all. From printers to music players diode lasers are everywhere.